Alba Botanica Very Emollient Bath & Shower Gels Midnight Tuberose 32 fl. oz. 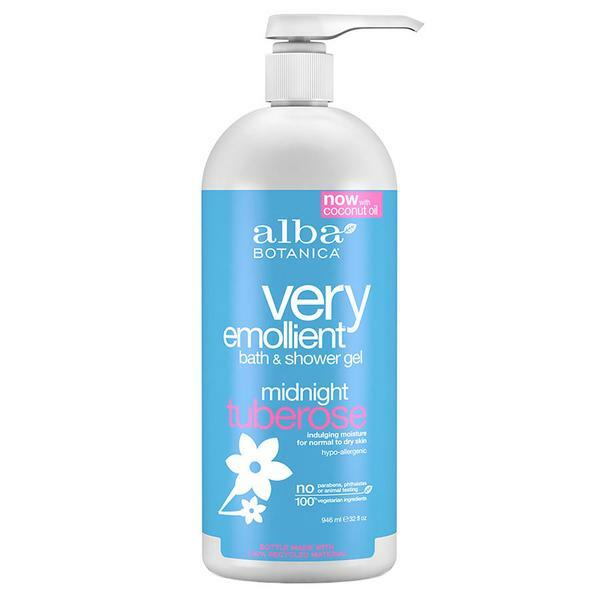 Home > Natural / Organic Products > Natural / Organic, Hair, Skin Care Products > Alba Botanica Skin Care Products > Alba Botanica Very Emollient Bath & Shower Gels Midnight Tuberose 32 fl. oz. botanicals and fragrant herbls will refresh and revitalize your bathing routine. moisturize for healthy-looking skin. pH Balanced. No Sodium Lauryl Sulfate or Sodium Laureth Sulfate. 100% Vegetarian Ingredients. No Animal Testing. Paraben Free.